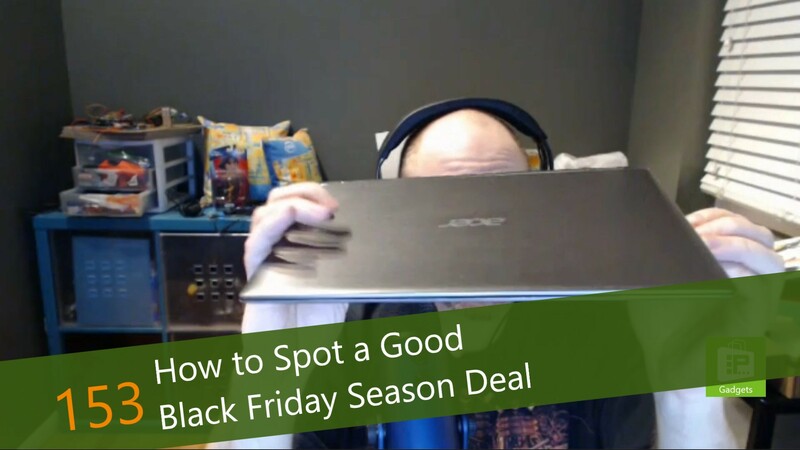 This week, Avram Piltch helps you prepare for Black Friday, which has expanded into a whole season, with deals over the next couple of weeks. Those deals can be overwhelming, with mass hysteria generated over televisions, laptops and more. Avram recommends making a plan by deciding what it is you are looking for, and what price would constitute a deal, and not jumping in just because something seems like a good price. In addition, he shows off a new laptop he reviewed this week, the Acer Spin 1. This inexpensive laptop has an aluminum case and a screen better than some laptops triple its price, but it is powered by a Celeron processor. Who is it good for, and should you consider it? Avram's got the answer.